RAIN OR SHINE, come out to hear great music! All stages have covered seating. One of the most popular events of the year at Glen Echo Park, the Festival attracts close to 10,000 visitors. Free to the public and held rain or shine, the Festival features over 450 musicians, storytellers, dancers, and crafters from the greater Washington area. 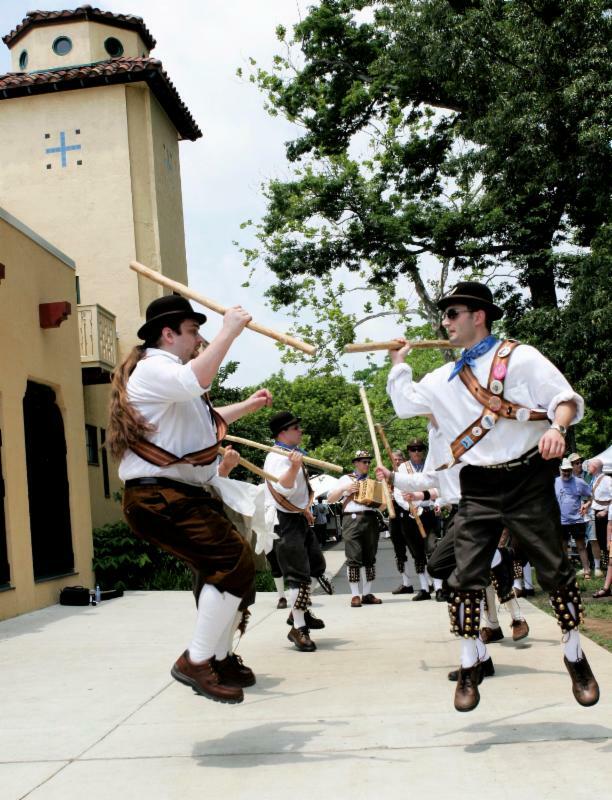 Presented by the Folklore Society of Greater Washington and the Glen Echo Park Partnership, the Washington Folk Festival is a celebration of this region's rich cultural diversity. International performers share the music, dance, and cultural traditions they brought from their original homes while American performers showcase a variety of musical traditions that developed in this country. "The Washington Folk Festival showcases the diversity of traditional music in the Washington area. All musicians, storytellers, dancers, and craftspeople live in the the greater Washington metropolitan area and volunteer their talents to put on a first class festival of national renown. With performances representing cultures from around the world as well as around the country, it is your chance to find out what is going on in the folk communities of the area." Five stages simultaneously present music and dance for a total of nearly 70 hours of live performance. The festival also includes a storytelling stage, dance workshops in the Spanish Ballroom, a craft marketplace in the Bumper Car Pavilion, and many spontaneous picking sessions in the Park’s picnic grove. Stroll through the craft marketplace in the Bumper Car Pavilion, join a dance workshop in the Spanish Ballroom, go for a ride with a tall tale at the Storytelling Stage, or take a ride on the restored 1921 Denzel carousel. There is something for everyone at the Washington Folk Festival. Due to the popularity of theWashington Folk Festival, Glen Echo Park does not have enough parking for everyone. Satellite parking and FREE shuttle service are available from the GEICO parking lot at 5260 Western Ave, Chevy Chase, MD. Easily accessible by metro, the GEICO lot is just two blocks west of the Friendship Heights Metro station at Wisconsin and Western Avenues. 11:00 pm - 5:00 pm, Saturday, June 2 and Sunday, June 3. Tickets are $1.25 per ride. The carousel is open during the week and every weekend through September 2018. Please visit our Carousel web page for the entire 2018 schedule.